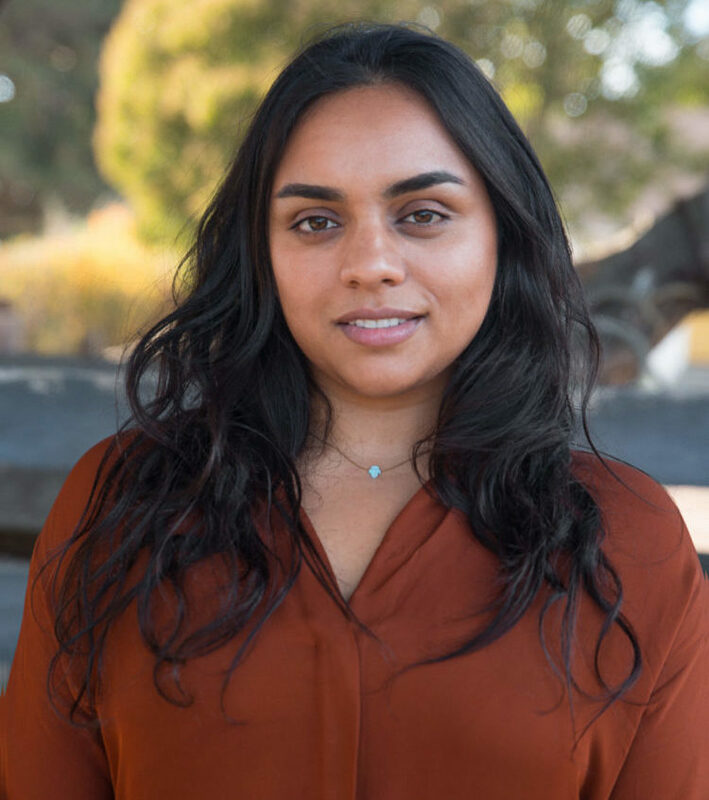 Janaki Jagannath is an advocate for farmworkers who, as the former Coordinator of the Community Alliance for Agroecology, works to advance environmental justice in California’s San Joaquin Valley where chemical farming continues to impact the health of rural communities. She gave this talk, transcribed and edited below, as part of the Bioneers Carbon Farming series. Jagannath is currently in law school at the University of California at Davis. Protecting the health and diversity of soil microbial communities is the first step to protecting the health and diversity of the human communities. In California’s San Joaquin Valley — home to many of the nation’s largest fruit, nut and vegetable operations — agricultural soils have been sterilized and depleted of natural fertility. This trend in agricultural soil management is standard practice for industrial farming, and while it’s still possible to turn the trend around and begin managing soils to improve the health of the region, doing so will require us to examine the history of environmental justice (and injustice) in California. In the 1990s, President Clinton signed Executive Order 12898, Federal Actions to Address Environmental Justice in Minority Populations and Low-Income Populations, a set of policies that required federal agencies to ensure the fair treatment and meaningful involvement of all people regardless of race, color, national origin or income with respect to the environmental impacts of the development, implementation, and enforcement of federal programs and policies. These communities suffer the problems that arise from historic land-use policy in California, which has essentially been created by and for large agribusiness, and rarely prioritizes soil health or community health. Rather than building carbon and organic matter, the soil has been stripped of most of its life, and nutrients such as phosphorus and nitrogen get added back in through synthetic fertilizers. As a result, over one million California residents are exposed every year to water that is unsafe to drink by state standards. In addition, many communities lack adequate wastewater infrastructure, housing, and perhaps most importantly, effective governance. Many environmental justice communities are places that were settled during the migration that took place when the agriculture of the Midwest was pushed to its limit resulting in the Dust Bowl. A period of dramatic expansion of the fruit and specialty crop economy in California led thousands of migrants from across the country to move to California as field workers and packers. During World War II and with the implementation of the Bracero program, Mexican farmworkers and other communities of color moved into and continued to build these small California communities. Wells were dug by hand and when electrification took place it was often done without proper oversight. Land-use policies were historically discriminatory. Since then, larger municipalities haven’t annexed these places and provided them with basic protections for their drinking water and air quality. These rural unincorporated communities face a lack of local governance and some of the most acute environmental and climate impacts in the state. In unincorporated farm worker communities, residents deal directly with harmful impacts of agriculture. Parents send their kids to school knowing they’re going to get exposed to pesticide drift. They are dealing with chronic disease, asthma and valley fever— a deadly infection caused by a fungus found in soil — on a regular basis. Drinking water in the San Joaquin Valley primarily comes from groundwater wells. The area’s ground water is often contaminated with nitrates, selenium, arsenic, and 123-TCP – a heavy carcinogenic chemical that was recently regulated for the first time. These water contaminants are pesticide and chemical fertilizer byproducts, or simply the products themselves, washed away into the aquifer. This is a direct result of the way that the soil in the area has been treated over time by chemical-heavy farming practices. The crops are mainly irrigated with surface water. There is a constant lobbying effort by the agriculture industry for access to more surface water because ground water is expensive to pump and often contains large quantities of salt, which is the primary concern for farmers. Meanwhile, ninety-five percent of the water going to people’s homes is groundwater. There has also been an enormous loss of native vegetation in the Valley because the agricultural industry has removed most of what was left of the native plants, animals and people. We have lost nearly all ecological memory of the area to privatized industrial-scale agricultural landholding. A few important examples of alternative agriculture stand out. In Tulare County, an area known for its conservative approach to large-scale agriculture, Steven Lee of Quaker Oaks Farm is working to educate the local community on the importance of building soil carbon as a foundation to achieve environmental justice priorities. A recent recipient of funding through the Healthy Soils Initiative, Steven is planning to pilot a number of soil improvement practices on his land and gauge their ecological benefits. Quaker Oaks Farm shares historic ground with the Wukchumni Indian tribe of the region, and also with farm working families of Oaxacan origin who utilize a portion of the land for subsistence farming. Community Alliance for Agroecology has built a framework based on ecology that prioritizes the protection of the water and air and other environmental media in addition to building political power because we believe historically underserved communities who have built our agricultural economy should have a say in how agriculture moves forward in our state. Healthy soil protects our waterways, our local air quality and displaces chemical fertilizers and pesticides if built as a part of a natural soil fertility regimen. This has both short and long-term benefits. We are at a point in California history where we need to be linking arms around the protection of our soil. We have a State Water Board, and a pesticide department, but we don’t have any direct oversight of our soils at the state government level. The health of our soil has been largely left to the discretion of private land owners. Soil is the basis of our food system and we need to be protecting it—especially in the areas like the San Joaquin Valley. To do that right, we must also include the voices of rural people of color and others who have been historically left out of the decision-making process around farming and land ownership. To learn more about Janaki Jagannath and her work, read this in-depth profile from Civil Eats. * To learn more about SB 535 and the 25% of California’s Cap & Trade revenue going to disadvantaged communities, please watch Vien Truong of Green for All on Creating an Equitable Environmental Movement.